Congratulations! You’re getting married, and finally ready to walk down the aisle with the love of your life. Everyone loves a great wedding ceremony, and the only way to follow up a great ceremony is with an excellent reception. You want friends, family, and loved ones to leave your wedding reception with lifelong memories, and a great way to help them have fun is by creating some signature wedding cocktails. Signature wedding cocktails have become a must-have in recent years, and for good reason. 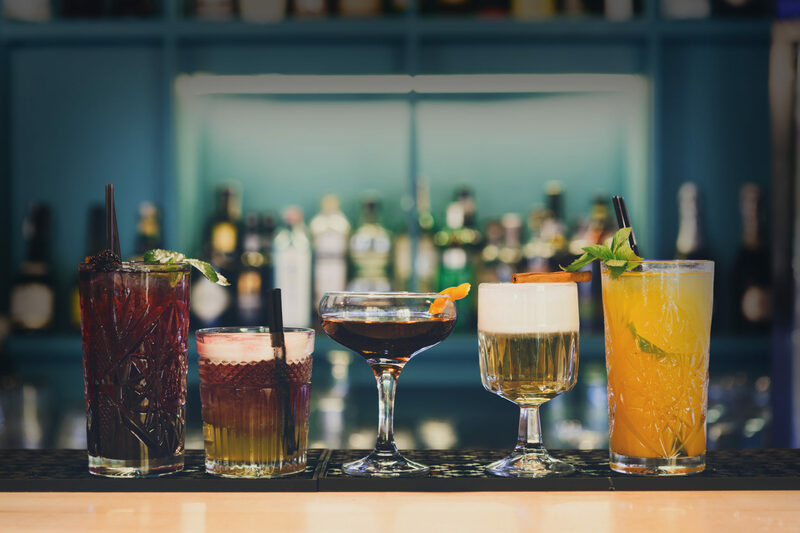 Everyone knows that classy cocktails are guaranteed to help kickstart any party, and signature wedding drinks offer guests something delicious, unique, and memorable to enjoy. Luckily, the experts at Platinum Banquet Hall are here to help you craft your own wedding reception cocktails with some useful tips and advice. Finding a starting point for your wedding cocktails can be difficult, so why not get inspired by some favorites? There’s a reason why people have enjoyed drinks like the Old Fashioned, Moscow Mule, Mojito, and Martini for generations. They’re delicious! Consider using subbing out some of the ingredients in a classic cocktail to create something brand new and totally unique for your wedding. Your wedding catering menu will likely include fresh flavors and seasonal ingredients, and that’s an idea you can bring to you signature wedding cocktail as well. Consider crafting drinks that fit the season you’re holding your wedding. For example, if you’re having a summer wedding, create a fruity wedding drink served ice cold to help guests stay chill. Using seasonal flavors and ingredients is guaranteed to impress guests, showing them you put some serious thought into your cocktails. A truly great drink doesn’t only taste good, it looks good to. And a great way to boost the visual presentation of your wedding cocktails is to incorporate your wedding colors in the recipe. You can use juices or syrups to replicate your wedding colors in the drink itself or incorporate garnishes that highlight your colors. You can even use stylish napkins, straws, and stirrers to bring a pop of color to your wedding drinks. Every great cocktail has a great name, and you’ll definitely want to think of something memorable for your signature wedding drinks. We suggest taking inspiration from memorable moments in your relationship with your spouse, honoring those special memories in a unique way while giving guests a look back at your life together so far. You want your wedding reception to be a truly memorable occasion, and with the help of some signature wedding cocktails, your reception dreams will certainly become a reality. But you can’t have a great reception without an exceptional venue, and if you’re looking for a wedding venue in Los Angeles you’ll want to consider Platinum Banquet Hall. Our event venue offers exceptional accommodations and luxurious decor perfect for weddings of any budget. For more information on booking and availability, contact Platinum Banquet Hall today.